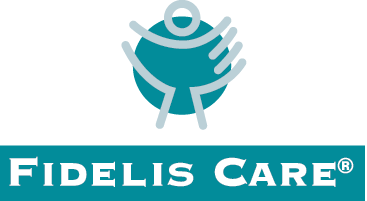 Integro Counseling Service is pleased to announce the addition of Fidelis Care Health Insurance. Fidelis Care (www.fideliscare.org) is the New York State Catholic Health Plan, providing quality, affordable, New York State-sponsored health insurance coverage for people of all ages and at all stages of life. From its origin in 1993 as the Catholic Health Services Plan of Brooklyn and Queens, Inc., Fidelis Care has grown — both in the scope of its mission and the services it provides. Today, through a Statewide network of more than 67,000 providers, we support more than one million children and adults, making Fidelis Care one of the largest government programs-based health insurance plans in New York State. Fidelis Care offers free or low-cost comprehensive health insurance, including Medicaid Managed Care, Medicare Advantage, Child Health Plus, and products available through NY State of Health: The Official Health Plan Marketplace. Additionally, it offers Managed Long Term Care products for adults who qualify for nursing home care, but are capable of staying safely in their own homes with the right care and support. Michele Bennett, Integro Counseling founder stated; “We are very pleased to now offer Fidelis Care at Integro Counseling Service. Our priority has always been and continues to be our patients, and with the addition of Fidelis Care we are now able to reach and offer help to an even larger group of people”. Integro Counseling Service is located in Malta, NY and every member of their staff is a licenced NYS professional with an advanced degree. They provide counseling assistance to individuals, couples, teenagers, families and children. Sspecializing in working with various issues and age groups. Treating mood disorders, life transitions, trauma, addiction, relationship problems, work or school problems, losses – all problems that can strike any individual or family.